Updating other pages on this website alerted me to the fact that I have been very remiss and not updated my 'Out and About' page for this year! Having said that, despite running here, there and everywhere, I don't feel like I've actually achieved much. Oh, I am still teaching weekly classes, and I have been attending regular private lessons, but I haven't really attended many other events. That said, in January, I danced at my Aunt's 90th birthday party in front of the whole family which was quite scary. I had never danced in front of my family before, but they all seemed to enjoy it. 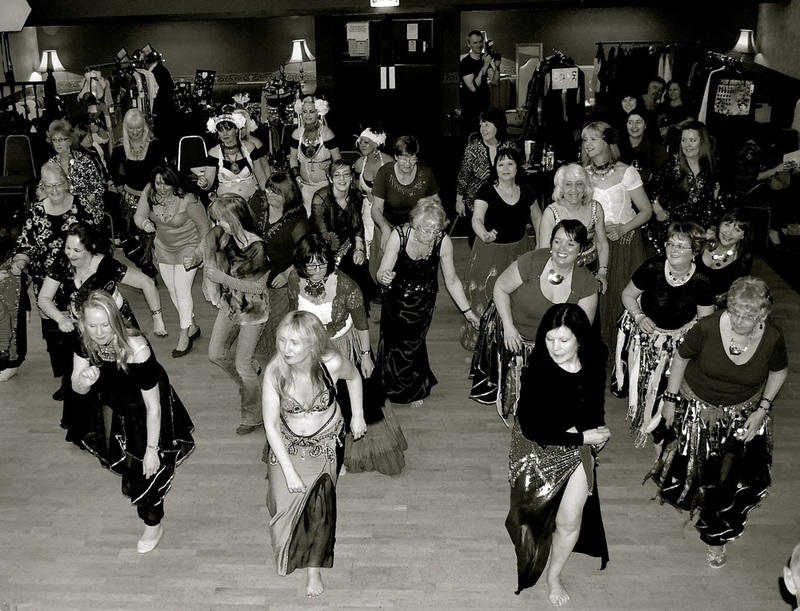 My next event was my Chocolicious Hafla which was really good fun. Despite the numbers of attendees being slightly lower than usual due to a last minute change of date (!!! ), the atmosphere was fabulous. Our souk, provided by Rita Williamson Designs was fabulous, as always, and bless the woman. She had come at short notice (due to the date change) AND on her wedding anniversary too! She'd even brought along her hubby. So, what am I up to next? Well, I am currently getting myself and my students ready for this years Penwortham Gala on the 13th June. We are planning something a little bit different so come along and support the procession on what we are all hoping will be a fabulously sunny day! After that, there is Sequins On My Balcony on the 4th July, and which myself and Anne Kingston are currently rushing around trying to organize. This is a charity event and is OPEN TO EVERYONE, not just dancers. More information can be found on the Sequins page, including times, programme and raffle prizes. As for the rest of the year. Well, I haven't thought about it yet. I AM going to be working on a project with Candi Bell very soon, but I will post more details about that as and when.